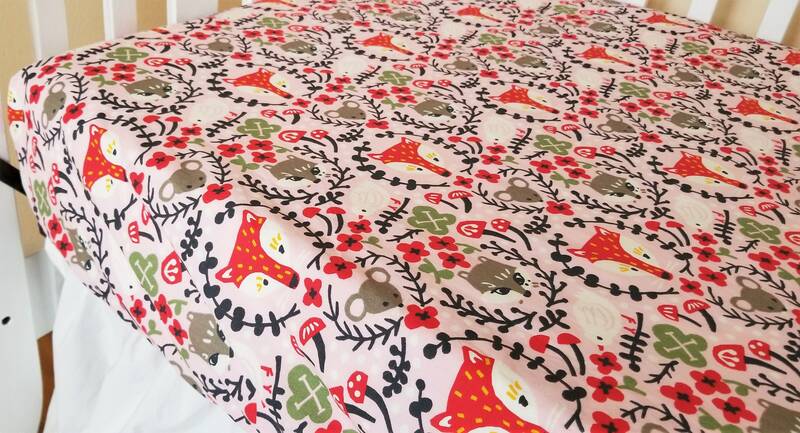 Whimsical and charming describe this sweet bedding from the Folkland Collection by Birch fabrics. 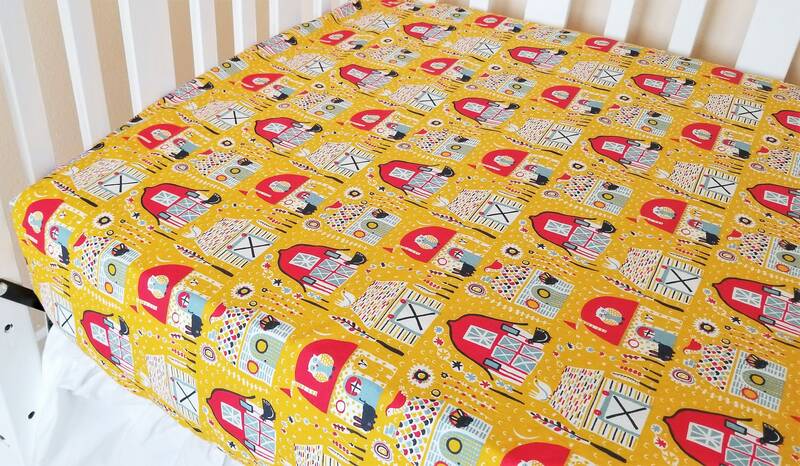 And these fabrics are perfect for your little one of either gender. 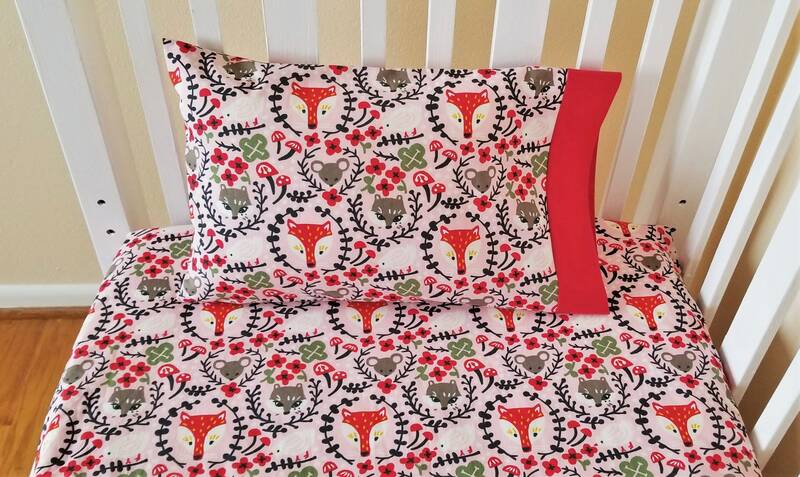 We have a toddler pillowcase, a blanket, and a crib sheet featuring either the foxes on pink or the barnyard print. 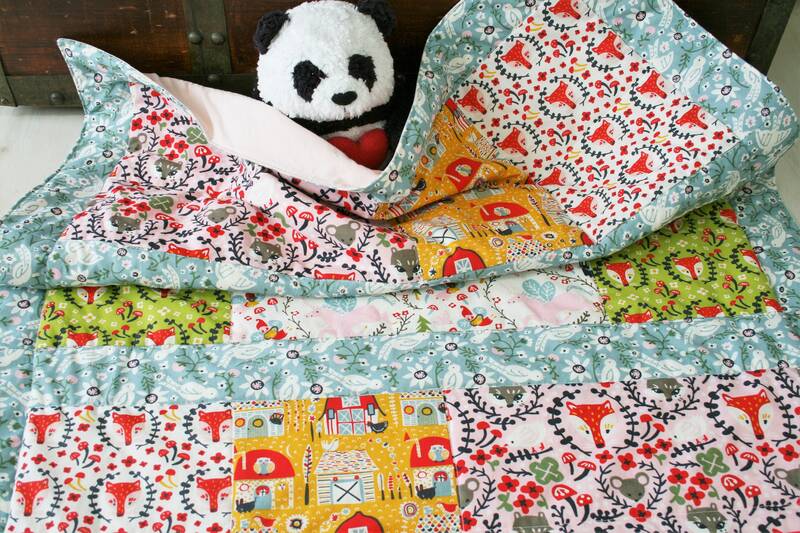 The the quilt is versatile and goes with either of the prints. Order one item or order them all! Note: All fabrics are GOTS certified organic. 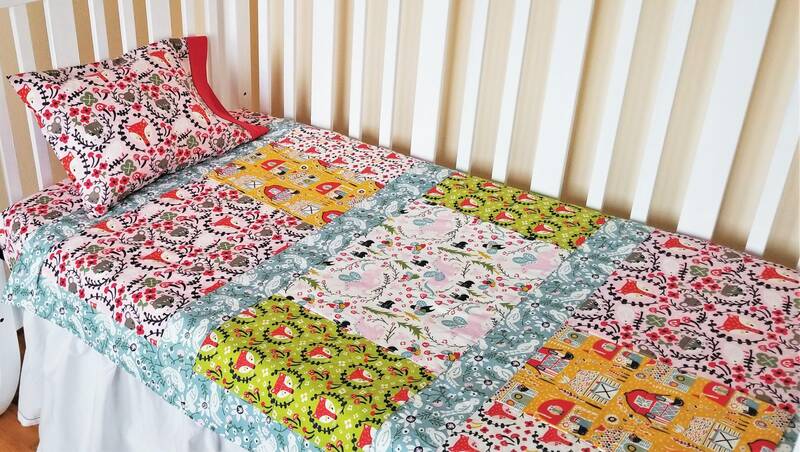 The baby and toddler size quilt features all the prints from this collection. It is machine quilted. 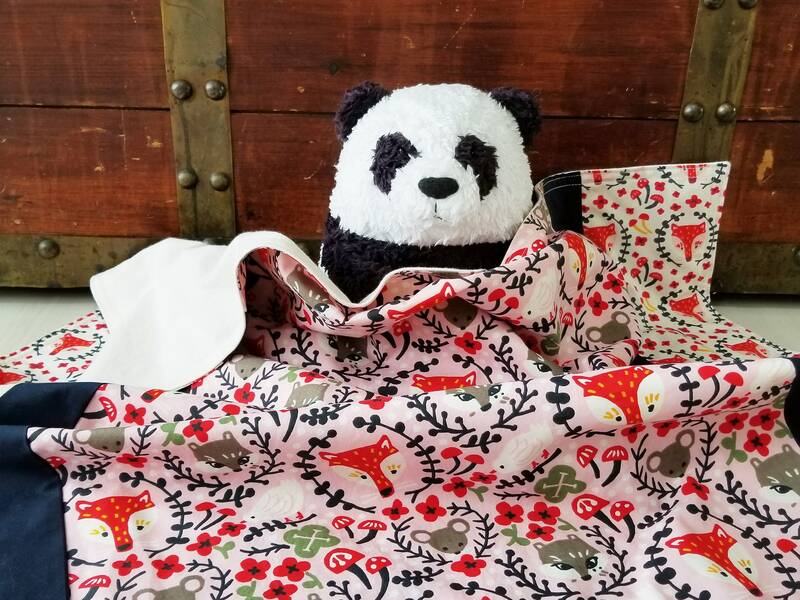 The quilt measures a generous 38″ by 49″ and is filled with batting that is 50% organic cotton and 50% bamboo and the back is a solid pale pink fabric (all organic). 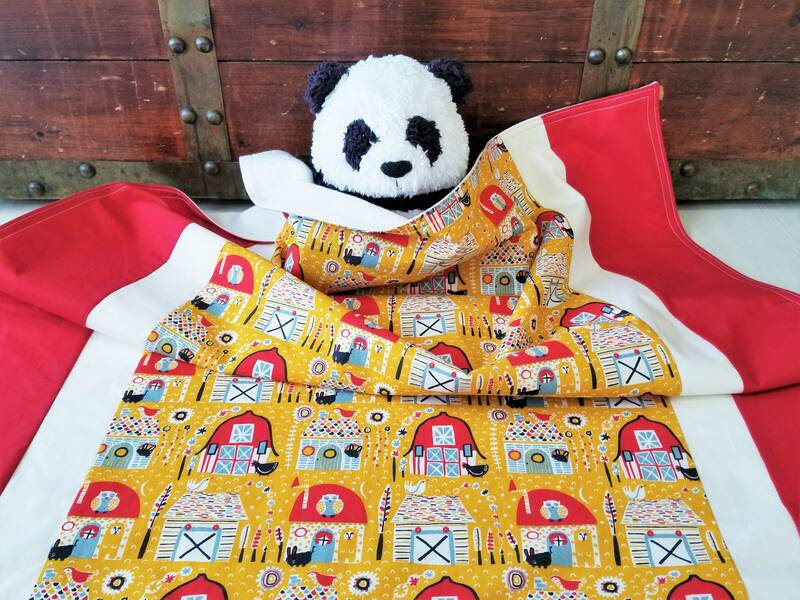 The quilt is soft and cuddly for your baby or toddler and makes a wonderful lap quilt as your child grows. 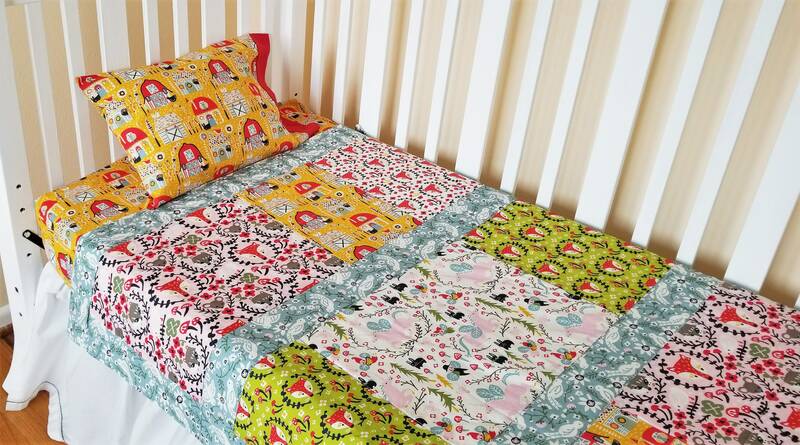 The blankets are 32" x 36" and backed with a lovely soft organic natural flannel. You can choose the pink fox blanket bordered by deep navy and more little foxes on cream, or the farmyard blanket bordered in cream and red. Crib sheets measures 28" x 52" x 8" fitting a standard crib. They are fully elasticized for a snug fit and the corners are serged for durability. 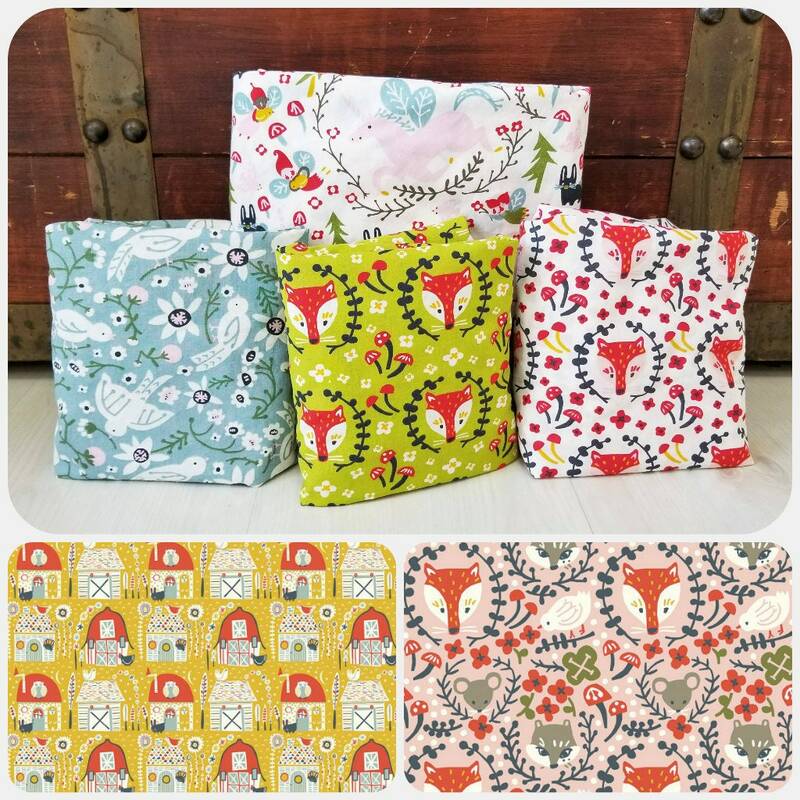 You can choose the foxes on pink or the barnyard print. 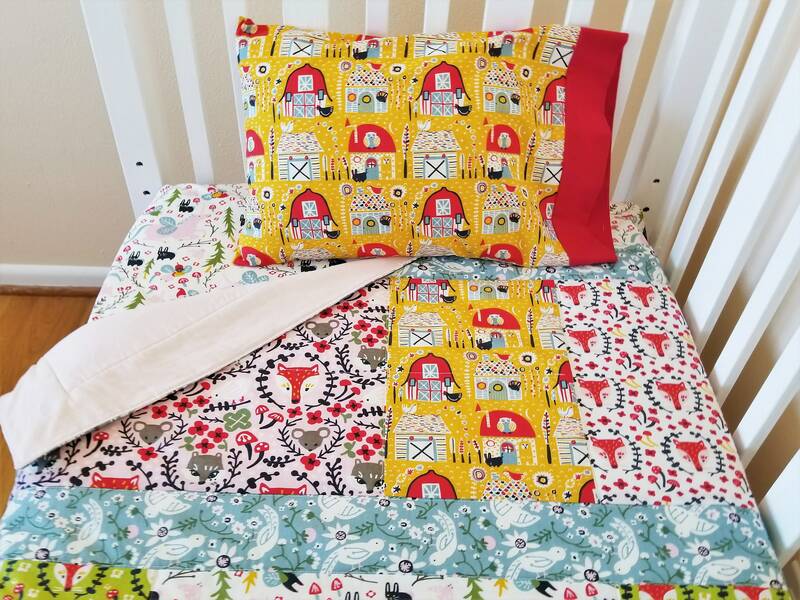 The pillowcase measures 13" x 20" and fits toddler pillows 12" x 16" like the eco-wool one we sell https://www.shopdelanodesigns.com/listing/106596940/toddler-pillow-travel-pillow-pillow Both the foxes on pink and the barnyard prints are cuffed with solid red. All items are ready to ship and ship free in the US. For shipping outside the US please contact us for options.